Nostalgia can be an empowering thing. For me at least, everytime I look back at the work I did at ArtCenter, it grounds me and realigns me to why I am doing what I'm doing. I found this paper from my Intro to Modernism class that I wrote a year ago. Being in the industry for about a year now, it was refreshing to read what I wrote about design from an academic point of view. Thought I'd share this here. Based on Richard Buchanan’s point-by-point analysis of design, critique one item from the Modernist design studio, Design Within Reach, and compare this item to a similar one of a different aesthetic found at a store of your choice. Being a product designer, my immediate reaction when I saw these 2 chairs side by side was that the posture the user adopts while sitting on both chairs is different. On the Victorian-era Dormeuse, you would lounge on it sideways. On the Eames chair, you would lounge reclined in a seated position. This perfectly aligned with the first element of a design argument – technological reasoning. Both products addressed a common need – the need to rest and relax the body. The form factor of both chairs differs significantly. While both serve the function of recline for the body, the form of Victorian chair invites the user to lie down sideways, with one arm resting on the armrest at the side. This is a stark contrast to the Eames lounge chair, which invites the user to instead ‘sit’ down with their body aligned to the vertical axis of the chair. A fair assumption would be that during the period the Eames chair was designed, technology in the form of televisions were well embedded into the fabric of modern society. The reading of newspapers and books were also commonplace. Therefore when one relaxes on the lounge, they can do so without hindering the ability to perform tasks like reading a book or watching television. Compare that to the Victorian lounge chair. Pre-industrial revolution, there were no television sets. Also, hierarchy in society was more evident, hence the need to exert one’s superior position in society more potent. The sideways lounging on the Victorian chair represents that. By lying down sideways, it evokes a sense of royalty and prestige, that the person lying on it does not have to engage in hard labor. The introduction of modernist thinking slowly eradicated the nuances in social hierarchy in the years to follow. In using the second element, the character, or ethos of a product, both products cater to a demographic of high affluence. Whilst the Eames chair is more ‘democratic’ in its design, the heavy price tag suggests its reservation for the upper/middle class. The way both chairs communicated that through their design and materials reflects strongly the differing eras of their origins. For the Victorian lounge chair, the need and demand for ornamentation was evident. This desire for ornamentation came as a result of its production process, which differs from the Eames chair. In the Victorian era, ‘mass produced’ goods still very much relied on the work of craftsman to construct and build products. The sculpting of ornaments required great skill, which also provided a certain level of protection from counterfeits. This was almost like a certificate of authenticity. The Eames chair however, comes from a perspective that materials should be authentic in its communication. It is a reflection of the modernist mentality that came about through the industrial revolution. Through the industrial revolution, master craftsmen seldom produced goods anymore. Instead, machines took over. As a result, marks of human imperfection, where once viewed as a positive thing, were now viewed as signs of manufacturing defects. Hence the desire to communicate unique manufacturing processes and machined precision became more commonplace. The Eames chair features a beautifully bent plywood structure, where one can see the layers of wood that have been compressed together through the process of steaming and bending. This honesty in materials and process is to me an important difference that separates the approach of these 2 lounge chairs. Which leads into the 3rd and final element – emotion. The form language of both chairs evoke a sense of relaxation and rest, as well as luxury. Perhaps the ability to relax and rest is a form of luxury – a luxury that only those in a high position can afford. It evokes a sense of power and control, which grants the user a sense of satisfaction when sitting on the chair. This goes beyond the physical satisfaction of the chairs’ comfortable cushion. Therefore in terms of emotion, both chairs evoke similar reactions, albeit each relevant to the eras that they were designed in. For the Victorian lounge chair, a sense of luxury is evoked through the selection of materials. 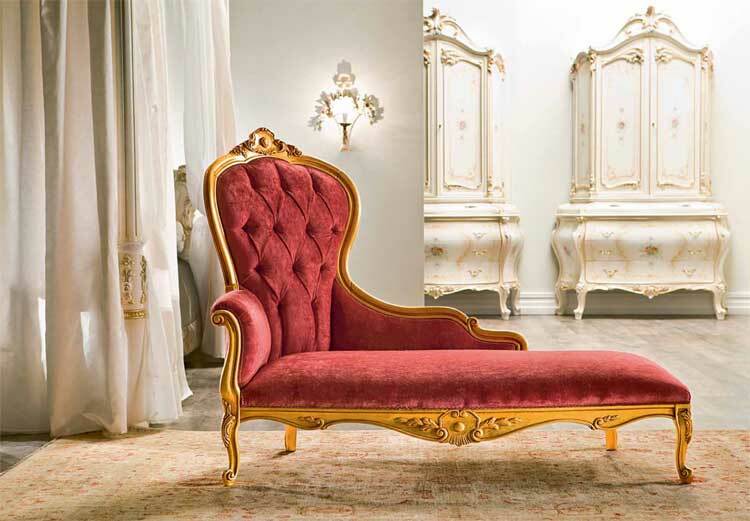 The gold-coated frame and red velvet lining on the chair’s cushion reflect a royal visual and aesthetic, perfectly adapted to its era, where the monarchy was more widely practiced. Today, it is still viewed as luxurious based on that same principal of evoking a sense of royalty, harking back to the era of monarchy. For the Eames chair, a sense of luxury is evoked through the quality of wood and leather used, as well as the brand name of the designers. The fact that is a piece of furniture designed by the Eames couple greatly increases its value and price. Ironic, since the essence of modernism very much sits upon the celebration of machine and the retirement of the individual who made the product. Perhaps designers are the modern craftsmen.